Donald was born in Birmingham Alabama but spent most of his life in California. He was a career truck driver for over 30 years until his fraternal twin brother became ill in Georgia. In spite of his own heart problems, Donald immediately dropped everything on the west coast and headed to Atlanta to take care of him. Not long after his arrival, he himself needed to be hospitalized on various occasions causing him to lose everything that he’d worked for all of his life and ending up homeless living next to the hospital. 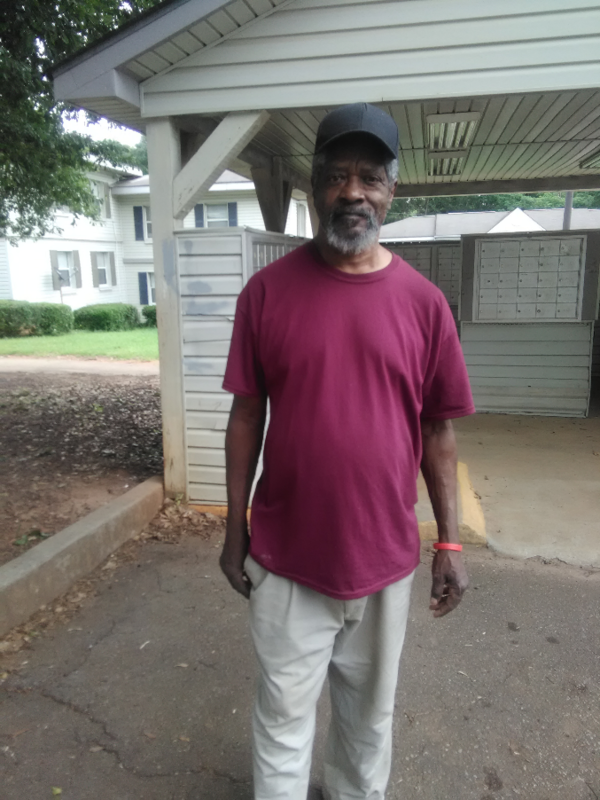 Donald was connected to Homes of Light and he was provided with a safe place to live while he regained his strength and applied for his social security benefits. We are proud to say that after only a few months in the program, Donald will be moving to Augusta, Georgia into a place of his own and near friends. With no children of his own, Donald plans to spend most of his time growing a new plumbing and floor installation business when he’s not enjoying his favorite past time….fishing.